You are here: Home » Let the Games Begin! It’s that time again, folks! The Olympics are back, and it’s time to start rooting for your favorite country to bring home the gold. This year’s opening ceremony will be full of entertainment, as it was thought up by famed directors Danny Boyle (Slumdog Millionaire) and Stephen Daldry (Extremely Loud and Incredibly Close). Much of today’s events have been kept a secret, but what we do know is that Big Ben will sound the start of the opening ceremony. This is significant, as it will be the first time that Big Ben has rung outside of its normal schedule since 1952, when King George VI died. In another significant turn of events, a bell on board the Queen Elizabeth II (which is carrying the Olympic flame as part of its final journey to the stadium) started ringing at 8:12 am (London time) today. 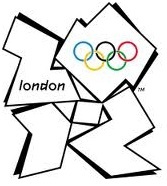 This was to mark the final 12 hours before the 8:12 pm start of the opening ceremony – or 20:12 in military time. Cool, huh? This event is sure to be as star-studded as ever, with reports of Paul McCartney performing with Bruce Springsteen have surfaced, as well as rumors of Daniel Craig bringing back his 007 alter-ego for the occasion. As exciting as the events are to watch, it’s too bad there isn’t a World’s Best Chef Cook-off; I’d be sure to tune in to see all of the participants wearing their chef coats! What’s your favorite Olympic event? Leave a comment and let us know!